Piccadilly Circus Area Guide - What makes Piccadilly Circus so great? Where do Piccadilly Circus locals go? This lovely restaurant and wine bar is hidden away just off Regent Street. You'll find a cosy wine bar downstairs complete with a terrace and a fantastic restaurant upstairs, which serves impressive food. Based on Forest Gump, this lovely shrimp restaurant from the USA has opened its first restaurant in London! Amazing food and the restaurant is decked out just like you're on the film - it has its own gift shop too! As well as an intimate, homely atmosphere, the pizzas are delicious and very very affordable, starting at only £5! Beautifully maintained, this garden square is a real retreat from the hustle and bustle of central London - it's amazing how quiet it is! A world-renowned gallery with leading exhibitions such as this one from the defiant Ai Weiwei! Without a shadow of a doubt, the best breakfast in London. A celeb hangout, you may be sat alongside Bernie and Tamara Ecclestone, Bill Nighy and Kylie Minogue. A wealth of graphic novels from a wide variety of genres. Just off Piccadilly Circus, this Jamie's Italian is set within a converted pub and has a terrace too that is lovely on a summer's evening. The fresh pastas and cocktails are very tasty! Hands down the tastiest 'cheap' steak in London. There's only one steak on the menu and it's priced at an amazing £10...the sides are great too and also very good value for money. Bó Drake has a relaxed, Soho vibe serving a fantastic selection of small plates and sharing dishes of modern Asian cuisine. The impressive cocktails alone are a reason to go. Look out for their seasonally themed drinks available during Bó Drake Late every Friday and Saturday night too! I love this cocktail bar! It has a great atmosphere and is the perfect place to take a date. One of the best kept secrets in London apparently. The TKTS booth sits in the middle of Leicester Square and is the official ticket reseller for all of London's West End shows. Left over seats are passed to TKTS a few days before each show and sold at a phenomenal discount - sometimes more than half price! Freshly made dishes with lots of taste - great for sharing and reasonably priced wine too. Share your favourite place to go to in Piccadilly Circus. "In the 1840s, Dover Street resident and social experimenter Joseph Blake, the third Lord Wallscourt lived. He has a passionate belief that the secret to long life was to be naked for between the hours of 10am and 4pm. His long-suffering wife made him wear a cowbell, so that his servants could be warned of his approach!" 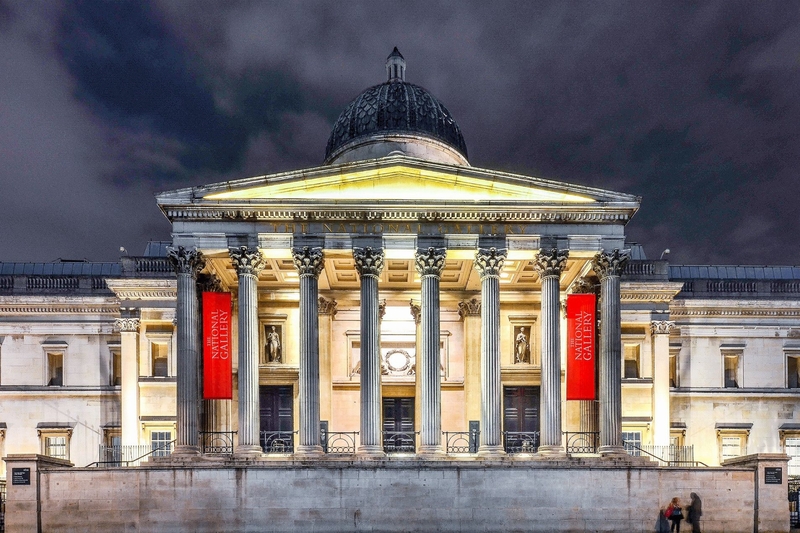 The National Gallery showcases the world's most regarded artists in the heart of London. Walking along Piccadilly, I love taking in the sites that central London has to offer. The Mall is an iconic landmark framing views of the country's most well known building, Buckingham Palace. It's lively all the time, there are a lot of things going on but not particularly the best area if you have kids! What do you think of Piccadilly Circus? Piccadilly Circus is a road junction and public space in London's West End, built in 1819 to connect Regent Street with the major shopping street of Piccadilly. Piccadilly Circus is surrounded by several major tourist attractions, including the Shaftesbury Memorial, Criterion Theatre, London Pavilion and several major retail stores. Numerous nightclubs and bars are located in the area and neighbouring Soho. What are your favourite things about Piccadilly Circus? Find out how much your flat or house is worth om Piccadilly Circus. Feedback about living in Piccadilly Circus has been submitted directly by the public and may not neccessarily reflect the views of Foxtons. The description of Piccadilly Circus was modified from Wikipedia and is available under the Creative Commons licence. Land Registry data is Crown copyright. All the views and contributions contained within Foxtons Local Life are those of the contributors. All content is assessed before publishing for taste, however free opinion is encouraged. Foxtons accept no payment or sponsorship for content that is posted about Piccadilly Circus.